Our first week, we started out small, but had some GREAT submissions! Keep them coming! Moms are some of the most creative, ingenious people out there! 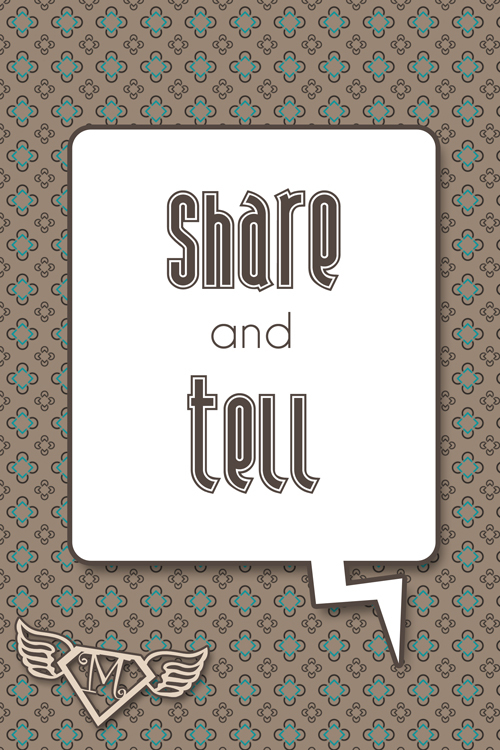 Share and Tell is a place for you to share your recipes, learning activities, decorating ideas, words of encouragement, etc! 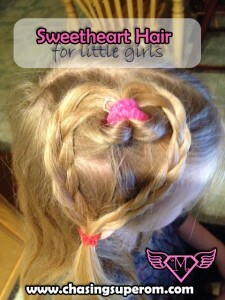 If it will help or inspire a mom in some way, link it up! I served these up on Family Fun Night, and they were a HUGE hit! All the taste of apple pie without having to fuss with a crust! These are certainly “fancy” enough to serve to company too! 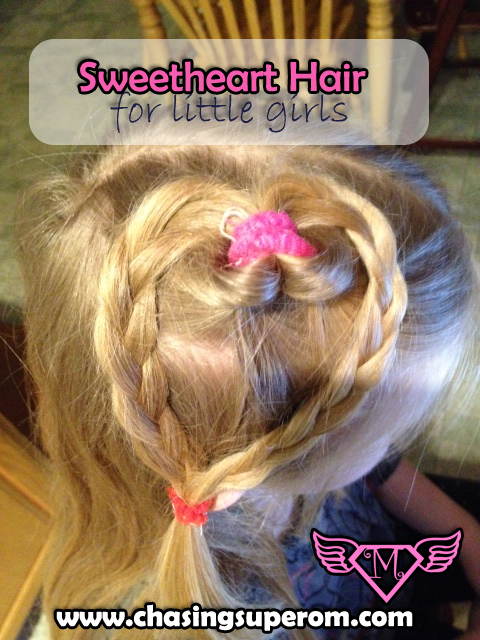 If you have a little girl, you’ll want to check out this surprisingly easy heart hair-do! I know my kids would have SO much fun with this edible bath paint! I fell in love with this idea! My kids favorite activity right now is making “forts” and “houses.” I know they would absolutely LOVE making a “night sky” space. Need a quick lunch idea? Try these tasty looking wraps! These would be perfect for a quick weeknight dinner too! Feel free to link up an idea or two from your blog. I’m all about real ideas and real encouragement. So go ahead and share your recipes, crafts, learning activities, tips, devotionals, ideas, etc. Basically, if your post will help or encourage a mom….go ahead and post it! I can’t wait to see all of your ideas! 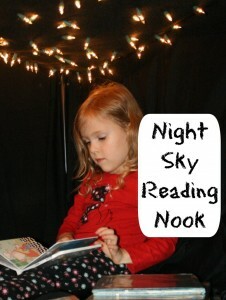 I will feature a few of my favorite posts in next week’s link-up. I would love it if you would share this link-up with your readers as well! 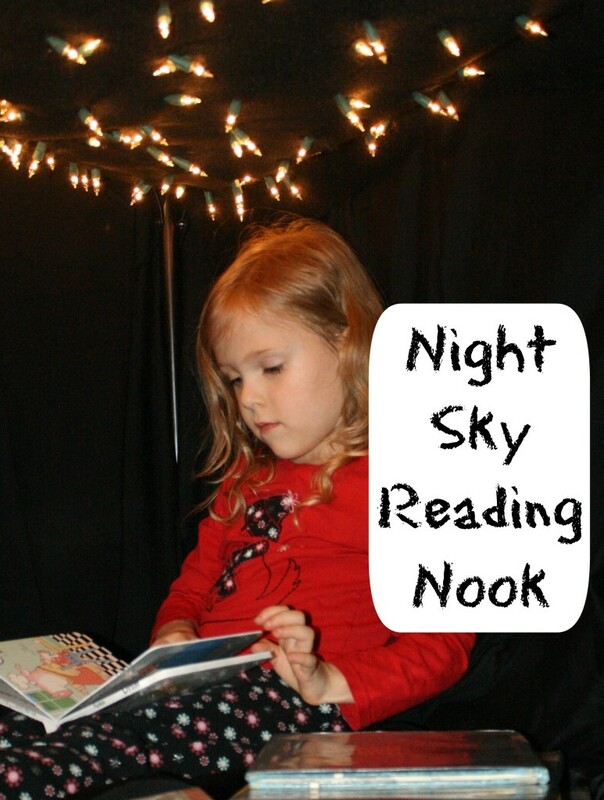 Thanks so much for featuring our Night Sky Reading Nook. I think your little fort lovers would enjoy it! You’re so welcome. It’s such a great idea.